This sweet bouquet in the shades of pink is perfect for a New Baby Girls born!! Delicate and fresh is also suitable if you wish to THANK YOU someone or just want to send it for your Mum's Birthday. 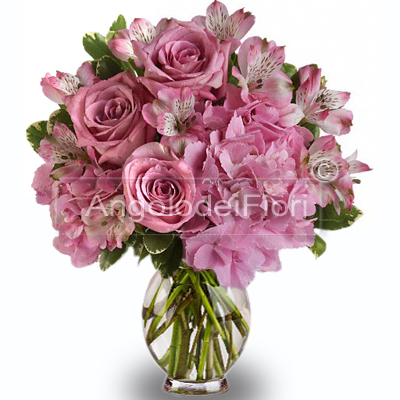 The Bouquet includes mixed pink flowers such as roses and alstroemerie everything is completed with decorative leaves.